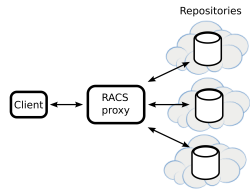 RACS is a cloud storage proxy that transparently stripes data across multiple cloud storage providers. 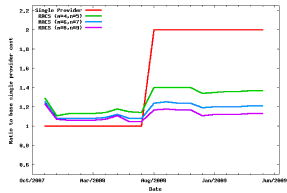 Striping data across multiple providers allows clients to tolerate outages and economic failures; where a change in the marketplace renders it prohibitively expensive for a cloud storage client to continue to use a particular service. 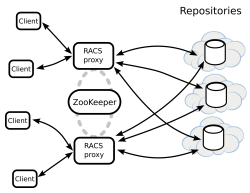 The added redundancy in RACS to escape potential vendor lock-in. 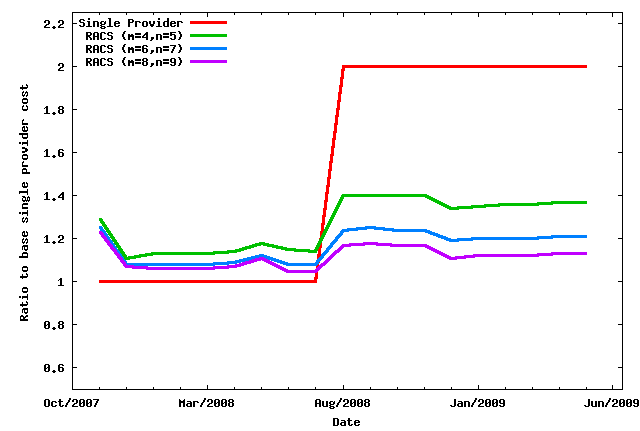 RACS reduces the one-time cost of switching storage providers in exchange for additional operational overhead. Finally, RACS assumes a minimal storage interface (put, get, delete, list) and exposes an S3-like interface to its clients.